Earlier installing Android games on computer wasn’t possible because of lots of compatible issues and those were all because we were not having any solution to boot complete features of Android OS on our computer. But now we got a solution and it’s named YouWave. It’s a premium Android emulator software available at a price and it’s definitely going to help you play Android games on your computer. Here is a detailed guide covering all the aspects you should be aware of and also the complete step by step process you need to follow or go through to start playing Android games on PC easily. You need not to worry about getting issues because it’s a premium software and even if you face any then I’ll provide the solution instantly when you let me know problem at your end via comment section beneath this article. I’m aware of the fact that you’re also aware of many alternatives of YouWave like BlueStacks, Andy, GenyMotion, etc but let me clear the air for you. All the alternatives you’re aware of are free softwares that doesn’t come with any sort of technical support or help at all and thousands of their individual users are complaining for a lot of troubles. So it’s up to you whether you want a complete comfortable user experience without meeting any issue and saving your time or going for those free versions. If you don’t trust me or YouWave now then nothing to worry at all as you’ll be getting free 10 days trial and it’s a long time period you can get used to of the software and decide whether or not to buy its premium services. 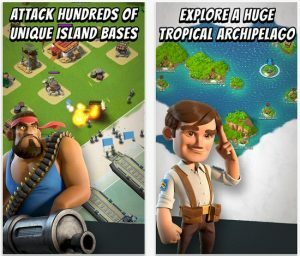 Simply follow the steps mentioned down here and within few minutes of time you’ll be able to plan which Android game you wish to play right away or in future right at your computer. Download the YouWave’s installer file which is available over here. It’s an offline installer completely so again it’s a benefit you will care about. Next is to double click on installer file you downloaded in above step and start following on screen instructions as come up at your end. The software will be installed easily without facing any issues at all. Start the software once it’s ready and you’ll be asked to choose the version you wish to continue with. Select the Free Trial option as you wish to check the whole interface first. The software will run within next few seconds now and you’ll find everything just like an Android device. Launch the Browser app now. Open website of Google play store and then search for any game you wish to download either using search tool or categories over there. Once you found the game to consider this time then open that and click on install option available next to the game listing right away. You’ll be asked to login with a Google account now which is a must as you’re aware of using an Android device, so do accordingly. That’s all and it’s done from both of us sides. I hope everything was easy and you’re going to share this guide with your social friends. 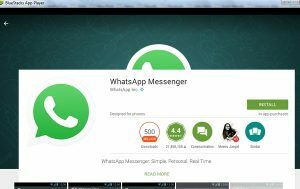 WhatsApp Web is the new feature which is available within the official application these days and it clearly means that you can now start using WhatsApp right on your PC. You need not to worry about anything because it’s the official version for you and all you need to do is to follow the steps I’ve been writing down in this guide here. The WhatsApp Web feature isn’t that hard to go through but still here I’m sharing a guide on how to use WhatsApp for PC with Google Chrome. You got it right. WhatsApp Web feature is available only through Google Chrome web browser right now and no other browser is going to work with this. So you’re all set to use WhatsApp on computer. 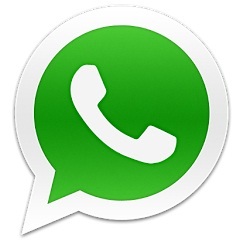 WhatsApp needs no introduction, even if you’re not using it and I’m definitely hoping that you’re eager to use it now. Earlier this application wasn’t available for PC platform officially and still there is no standalone application installation rather the developers have come up with a browser based solution. The browser version of WhatsApp is almost like the smartphone version with slight changes without affecting the overall user experience and theme. 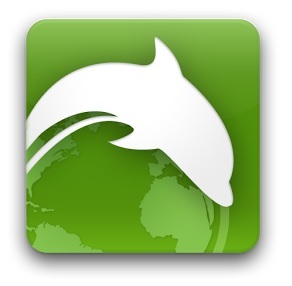 You can still send unlimited number of text messages, share pictures, videos, voice notes and any other supported file. All these things can be done from your PC now and its going to be synchronized simultaneously with your smartphone version. So no need to check on your phone from now as you can use WhatsApp on PC. To start with you have to first update the application version installed on your smartphone. It’s a necessary step and without it you can’t use WhatsApp on computer anyhow comfortably. So do that and use your phone number to create a new account if you’re new here. Once the application is updated then start following the steps mentioned down here as it is. Start the application on your smartphone which is I’m hoping that updated to latest available version. Move into options and there you’ll see a new option labeled ‘WhatsApp Web’, tap on that. Start the Google Chrome in computer and follow this link directly. Or you can search for WhatsApp Web in search tool and open official home page. You’ll see a QR code there which you had to scan using the smartphone you’ve but don’t do anything in smartphone. Just start using it from where you left it before. 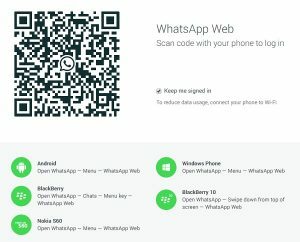 The QR code will be scanned and whola, you’ll get login with your WhatsApp account within the Google Chrome any second. So this was the whole process you should be aware of and I’m pretty sure that there was nothing at which you can find trouble with. Don’t forget to share this stuff with all friends you’re aware of on the social networks so that they can also come to know about this much needed news and off course the tutorial. First of all let me assure you that you’re going through a genuine process and this will get you run Android apps for PC with BlueStacks easily. This guide is going to be easy and even if you face issues then I can simply come up with solution to sort them up. The most usual issue with using BlueStacks on PC is that when your PC isn’t compatible to play HD content. So you need to update the graphics driver version and also make sure that at least 4GB of RAM is added so that this software can run up comfortably. 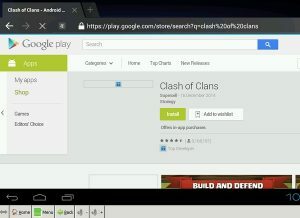 BlueStacks is the main reason why we are able to play Android apps on PC because it emulates the Android OS right away on your computer. The other way to run Android OS on computer is by using VirtualBox but that’s not an easy option to try out for every person unless you’re a tech geek yourself. BlueStacks is the only software available which is working like charm if its hardware and software requirements are meeting and also it runs on latest Android OS version out there unlike any other alternative which still operate on older ones. The user interface out there which BlueStacks serves to its users is extremely simple and elegant enough to keep you addicted there. You need not to worry about learning it from someone else or buying an ebook to learn how to use BlueStacks as using it is just like using an Android device. You can handle up to certain settings available within and also you can install any allowed app or game within with ease. Google play store is available within which is another good news as you can get the apps through official Google store. So it further increases its credibility. Start with the process and all you need to do is to follow the things I am writing down here. 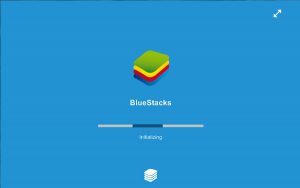 First install the BlueStacks software on your computer. You can download it from here and then double click on it to start installing. Simply follow on screen instructions and get over with it easily. Start the software then and you need to find out any Android app you wish to install using the search tool right away there. Click on the first clickable link that links you towards the Google play store. Now login with a Google account when you’re asked to setup synchronization feature, which is a required process to do. At last you need to click on install option right away which is at front of the app you see in there at the Google play store. This will start the app installation within BlueStacks and it will end up automatically. Well, that’s it! You’re done making efforts now and nothing to worry about any more. I hope everything went off without any issues and you liked this way to run Android apps for PC. 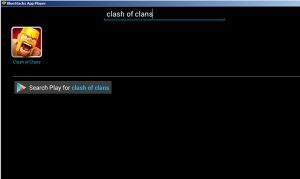 How to play Android Games on PC using Bluestacks? Like you have to play Subway Surfers game on PC but to do that you have to follow some hacked way which is unofficial anyhow and thus you’ll end up getting tons of malicious objects which your virus protection had to fight out. So either you can leave this urge or try out a simple and working way which is kind of genuine but not completely official. 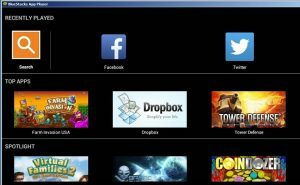 Here is a guide on how to play Android games on PC using BlueStacks app player. Yes you read it right, you will be able to learn playing any game you wish to on your PC with the help of BlueStacks app player. It’s a software available for free and it genuinely allow users to use Android OS on their system without going through any hacked process or getting malicious objects. This software is developed and maintained by registered developer company so you don’t need to worry about its credibility and also it’s used by millions of users so you can rely on the trust they had on it. If you still have any more questions regarding BlueStacks then write them down in the comment section and I can come up with every piece of information that is needed to help you out easily. You can quickly understand how you can use this software for its purpose and I’m sure enough that you won’t find any issues at all. Just make sure that the graphics driver version running on your PC is updated and supported to HD standards and also at least 4GB of RAM is there at your system. If any of these requirements aren’t matched they you may face issues. Simply start following the steps mentioned down here as it is and within few minutes of time you’ll be over with everything you needed to. Start installing the software right away which you can grab from its official website over here. Once you got the installer file then double click on that and follow on screen instructions to get it installed easily. Start the software and use the search tool available right away to find out any game you would like to install, like Subway Surfers. The search will begin and a link will be provided to you forwarded towards Google play store. Open that link. You’ll be asked to start synchronization feature of BlueStacks and to do that you need to login with a Google account right away. You have to do this as you got no other option. Once done logging in, then click on install option you got ahead of the game listing within the Google play store. The game will start downloading and it will get installed automatically alter as it does on an Android device. I hope everything was familiar to you as you had used an Android device at least once and I also hope to see that you’re going to share this guide with your friends at social networks. 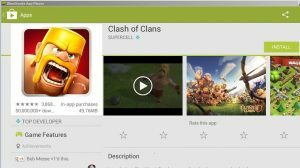 Author seonelondonPosted on September 8, 2016 September 8, 2016 Categories Apps on PCLeave a comment on How to play Android Games on PC using Bluestacks? 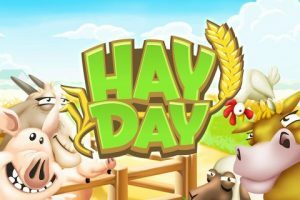 Hello friends, today we are going to present guide on downloading Hay Day for PC or Computer available for Windows 7/8/XP as well as Mac OS, i hope you will keep on reading this post to know more. If there is any farming game that can thrill people of all age groups, it is none other than Hay Day. It has remained to be the most unique and concept driven game in the market. The launch of Hay Day was marked with the huge hype in the industry, thanks to the rigorous marketing done by its developers. Who could have thought that farming can be so much fun but with Hay Day, it has become an interesting and fun task. Hay Day integrates well with the social media and you can play it with your friends online. This is one of the charming traits of the game. It supports the multi-player platform. Hay Day is mostly known for its exhilarating graphics that make it look like real farming rather than the virtual one. It is an addictive game that makes you get closer to farming in general. The gameplay also allows you to sell off all the veggies and fruits that you grow in the farm. This can be done with the help of trading. This trading can be done with friends or the professional marketers. Have you ever dreamt about milking cows in a game? You can simply milk the cows and feed them in Hay Day. Isn’t it exciting? The rewards are given for player’s performances. The features embedded in the game make farming interesting in general. The availability of the game in 14 different languages makes it more accessible and more loved around the world. People can simply switch to languages according to what their comfort zone demands. The craze of Hay Day is speaking loud on the minds of people and millions of fans have already downloaded its version. The word of mouth publicity is influencing the sales of the game along with its popularity in the market. Farming comes up with a lot of other interesting things in the game and people are acknowledging it well. So folks, those were the features of this game and now its time to learn the downloading and installing procedure of this guide. 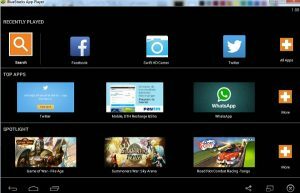 Hay Day can be availed for PC with the help of an android emulator. Android emulators help the user to download any android app that they want in the PC. This can be done with the help of the most popular emulator in the market known as the BlueStacks installer. Download Hay Day on PC and install it. Start playing this fantastic game on your PC. 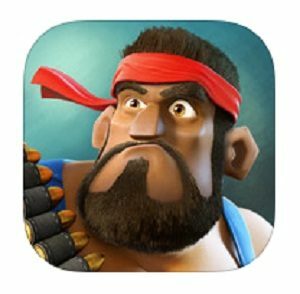 So folks, I hope you liked this article on downloading Hay Day for PC or Computer and while following any of the above mentioned steps if you faced any problem then please do comment and let us know about it. 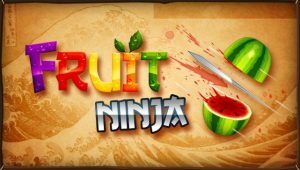 Hello friends, this guide is all about how to download Fruit Ninja for PC or Computer available on Windows 7/8/XP Computer easily. Hay Day for PC is really nice alternative game. Please note that WeChat for PC is not available officially and we will take the help of Android emulator software and I have given the complete details about the same below. How to download Fruit Ninja for PC or Computer (Windows 7 / 8 / XP)? You need to download APK file for Fruit Ninja from internet. Different links are given below to download the APK file for Fruit Ninja. Bluestacks and IntelAppUp are the software which will help you to download Fruit Ninja easily. 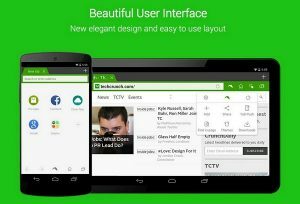 IntelAppUp is Android Emulator which will help you to play any Android Application or game to be played in your computer easily. This is really an awesome technology. This is another type of Android Emulator helpful in this process. Just in case if you don’t like the above software, you can use this software to play the Android Application and games on your PC. Below is the perfect guide to help you easily download Fruit Ninja for your PC. After installing Fruit Ninja, it is easy to run it on PC. To play Fruit Ninja, you should navigate to file and then go to folder named apps. You will find Fruit Ninja in that folder. Just double click on Fruit Ninja and launch it. File- “d3dx9_42.dll ” and then you need to reinstall it to solve the error. If there is an error caused by ‘ msvcr100.dll ‘ or ‘ msvcp100.dll ‘ or any other error, then you need to try to install ‘Microsoft Visual C + + 2010 Redistributable Package ‘ on your PC. The people who are not having the installer can download it from the internet. If after Step 1, the above errors were not fixed then try to install netframework 3.5. If sound does not appears you need to install DirectX 9.0c. So now there will be no problem to play the Fruit Ninja. Play it and enjoy it. So folks, I hope you enjoyed this guide which is all about how to download Fruit Ninja for PC or Computer and if you faced any issue then please do comment and let us know about it. Recently Hike Messenger application introduced free calling for its millions of happy users and so you should be using it as well. Here is a guide on how to download Hike Messenger for PC and it’s all going to be easy and comfortable. 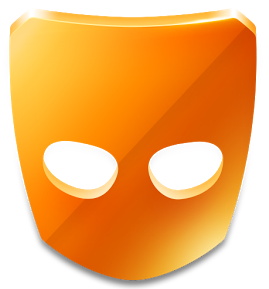 The app is developed by a registered company in India itself and it got most of the users from Indian only. But it’s still a precious and well capable messaging app that is meant to serve its purpose at best and ease. The recently released free voice calling feature had been well received throughout the country by its millions of users because the quality of calls being offered are very high and as we can expect. You may even find the quality better than you get through normal way if internet connection being connected with is with 3G or 4G network. It does pretty good job with 2G network as well. The application is available for free and there are no hidden charges at all. Yes there are no paid features within which further increases the user experience and make it a top notch app to be used. The user interface it comprises of is highly elegant and good enough that you all are going to get addicted with it from the very first moment. Your profile is created instantly and you can upload profile picture, update status, kind of stuff which are normal these days. Hike Messenger is going to allow you to send unlimited number of texts along with sharing videos, images, voice notes and many other files of different formats. The formats of files being supported in this app are higher than any other app which further helps users to use this app itself to share any file they wish to within the same conversation. The options available within are highly acceptable by every user it got and the kind of user interface it serves makes the user experience pretty high. 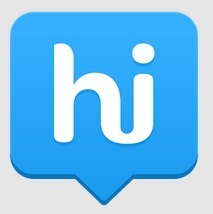 It also offers hundreds of stickers using which users can share what they wish to say otherwise via text and most of them are using our common way of communicating in India. 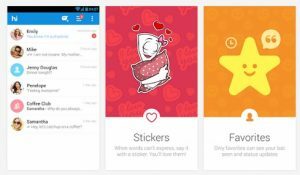 This particular feature of classic stickers further increases the use of Hike Messenger for its purpose and users find sharing sticker way to easy then saying it through texts normally. So I hope you too going to like this application. Go through following instructions and you’ll get over with everything instantly. Start installing BlueStacks software first which you can download for free from here and get it installed easily just like any other normal software. Use the search tool of BlueStacks then to find out Hike Messenger Android app and then click on clickable link you find. Login with a Google account to setup synchronization feature you’ve been asked to and you simply can’t skip this step. Click on install option which is there right away and you’ll get the app installed within few minutes of time. I hope you get it through easily and also going to share this stuff with your friends over social network.